"I keep saying we're in a TV golden age," our resident TV expert Lee said to me the other day, "but people don't wanna hear it." And, although there's plenty to complain about the current state of TV hardware, I'm inclined to agree with Lee. Just four years ago, the thought of landing a 50-inch 4K TV for less than $400 seemed positively absurd for most people. At the time, those of us keeping a watchful eye on industry trends were hopeful that costs would come down sooner or later, but few were prepared for the landscape to flatten out quite as quickly as it did. Case in point: the 2019 TCL 4-Series. 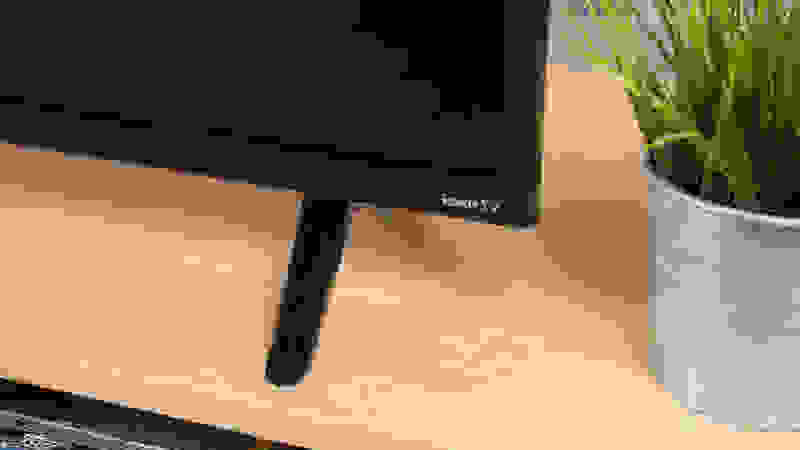 It's an entry-level 4K HDR TV series that comes in six sizes and offers all of the friendly, reliable features of a Roku streaming device built right into the TV. It's not a world-beater by any metric. In fact, there are a few key issues you ought to be aware of before reaching for your credit card. But beyond the so-so picture, the lackluster HDR performance, and the plain-looking design is a TV that's packed with value. 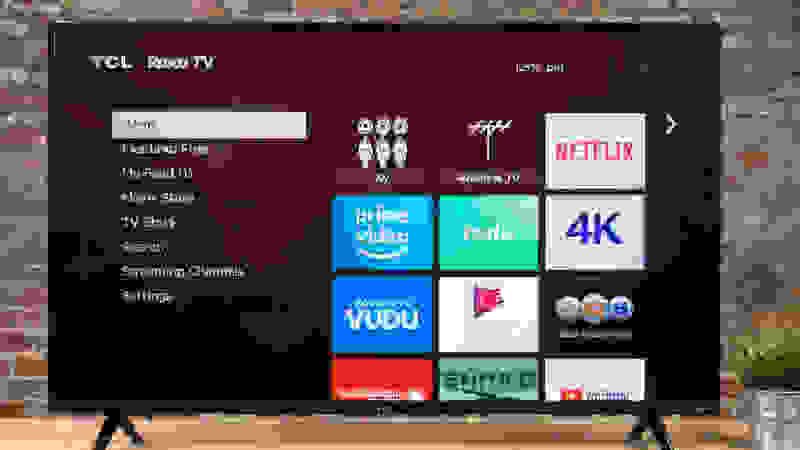 TCL's Roku TVs this year look similar to last year's Roku TVs—they're not the most dazzling TVs in terms of design, but they'll blend into just about any room with no problem. From a design standpoint, this year's 4-Series doesn't break the mold in new, interesting ways, but thankfully, it doesn't have to—the 4-Series is about as good-looking as TVs in this price get. It's almost identical to some of TCL's Roku TVs from last year: The panel is propped up by two wide-set feet with all of its connectivity ports in a cutout on the back of the panel. On the back of the TCL 4-Series you'll find a cutout with most of the typical connectivity options. In terms of connectivity options, the 4-Series features three HDMI 2.0-compatible ports, a USB 2.0 input, an ethernet port, a shared component/composite input, and a coaxial jack. We purchased a 50-inch model and, as per protocol, gave the unit a full day to warm up before taking it for a spin in our testing lab. The 4-Series isn't the best looking TV on the block, but it gets the job done considering how low the price tag is. The picture won't turn heads, but for the price, it's good enough. 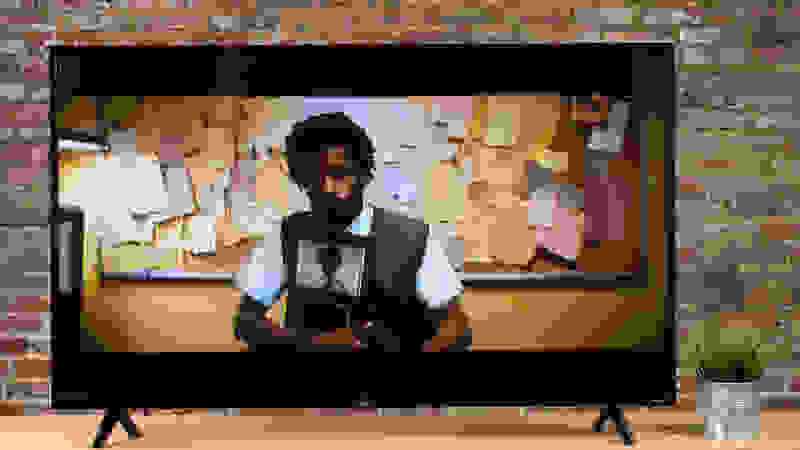 I'm gonna be upfront about this: When it comes to the picture, the TCL 4-Series ain't much to look at. I mean, it's fine, I guess—the best black level I measured (0.017 nits) is plenty deep enough to hang with other, better TVs in this price tier. There's a small amount of motion judder, but nothing to sound the alarm bells over. 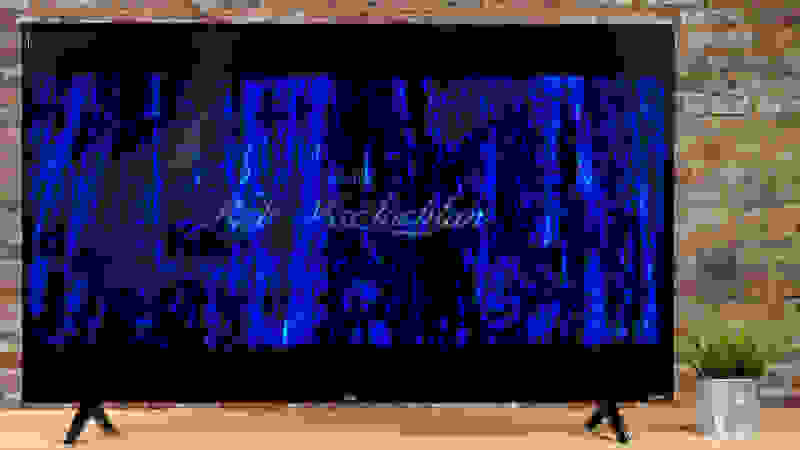 But over the course of my testing, the 4-Series blue-shifted gray tones became impossible to ignore, and the TV's wonky gamma habits cover dark scenes with bands of rippling shadows. 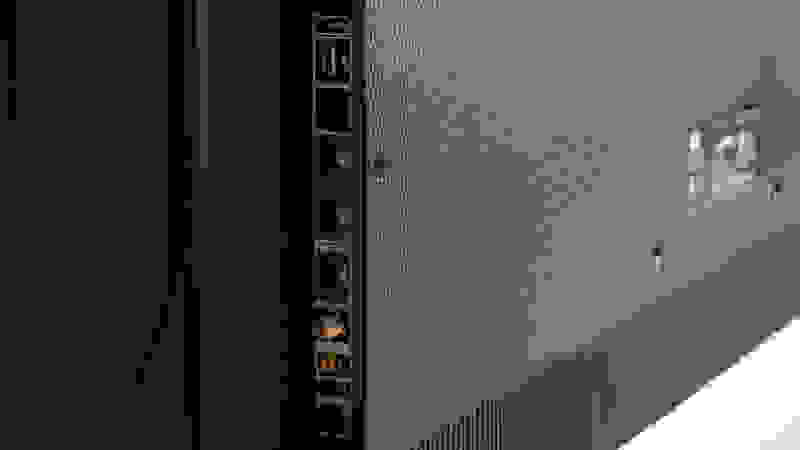 So why am I putting the 4-Series' picture quality down as a "win" and not a "loss?" It's simple: For the cost, this TV should look a whole heck of a lot worse than it does. I could sit here all day and nitpick the 4-Series' picture, but why bother? This is an entry-level 4K TV designed specifically for people with a budget in mind, and in that regard, it succeeds wildly. You won't be showing off dazzling-looking tech demos on the 4-Series anytime soon, but you can settle in for some Netflix and rest easy knowing you didn't break the bank on the purchase of a new TV. The TCL 4-Series is equipped with fast, friendly, and easy-to-learn software. The Roku smart platform and the Roku remote are user-friendly and fun. One of my favorite aspects of the TCL 4-Series (and TCL's Roku TVs in general) is the inclusion of the Roku smart platform. Not only is it a great value, but as the "glue" that holds everything together, Roku's software couldn't be easier to pick up and use. I've tested low-end TVs, mid-range offerings, and some of the best TVs money can buy, and you'd be shocked to learn how many of them seem incapable of delivering zippy, user-friendly software. The Roku remote includes basic controls and dedicated app buttons. Roku TVs, on the other hand, are different: Despite their low, low cost, you'd be hard-pressed to find a smoother TV software experience on the market today. Not only is Roku an incredibly flexible platform in terms of app support, but its clean lines and silky-smooth response time makes it a perfect fit for folks who have no interest in wrapping their heads around a complex series of submenus. The ideal viewing angle is severely limited. 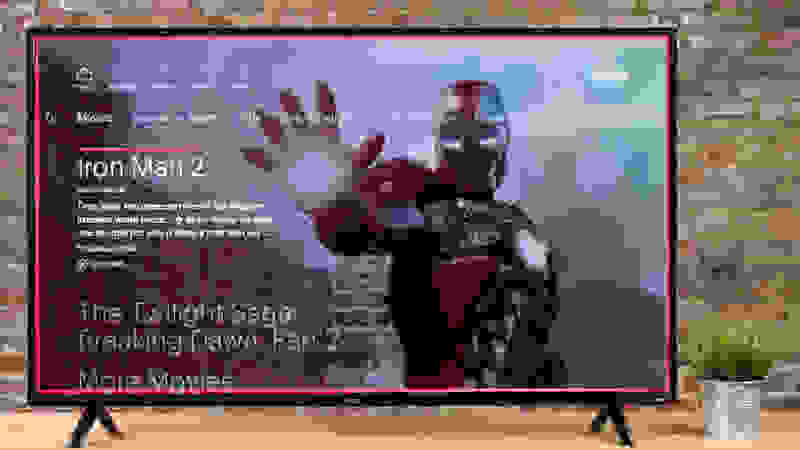 If you're hoping to land an affordable TV with a big, room-dominating screen, the TCL 4-Series is, understandably, an enticing prospect—after all, its 65-inch model is currently listed at just $600. Unfortunately, while the price is right, the 4-Series will surely struggle to provide every spectator in a crowded room with an uncompromised image. When I measured the 4-Series' viewing angles in our lab, I was disappointed to watch the panel's contrast drop off a cliff after moving just 22° away from a head-on angle (±22°). 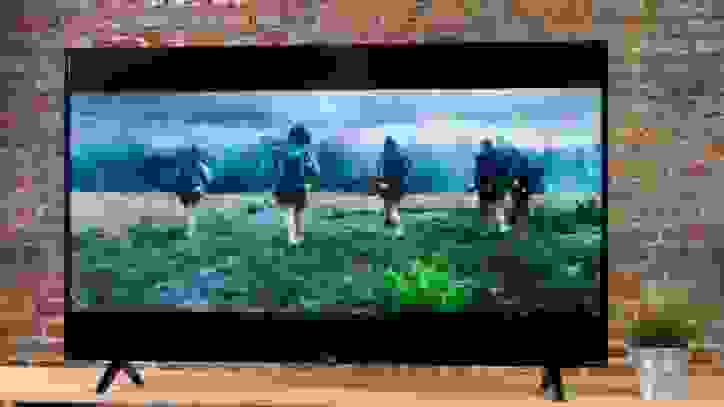 If your arrangements are modest and you plan on buying the 43-, 49-, or 50-inch model, I wouldn't sweat this too much, but if you're eyeing one of the bigger models and expect your next TV to entertain a crowd without viewing angle issues, it may be time to consider alternatives. The TCL 4-Series' picture quality starts to drop if you move a few feet off from a head-on angle. It doesn't get bright enough for HDR to really make a difference. Overall, the TCL 4-Series performed better in our HDR tests than it did in SDR—for whatever reason, its colors were closer to their targets and grayscale measurements were less blue-shifted when receiving an HDR signal. That said, you shouldn't expect HDR content on the 4-Series to look that much different than SDR content unless you're in a very dark room. The reason for this is pretty straightforward: The 4-Series just isn't equipped to get much brighter than 300 nits, even in HDR. Content mastered for HDR—whether it's streamed from Netflix or pulled from a Blu-ray—won't look that much better than it does in SDR. To that end, the 4-Series hardly qualifies as an HDR TV. The 4-Series just doesn't get very bright. In bright rooms, this might prove to be a problem. Advanced picture settings are relegated to the Roku mobile app. 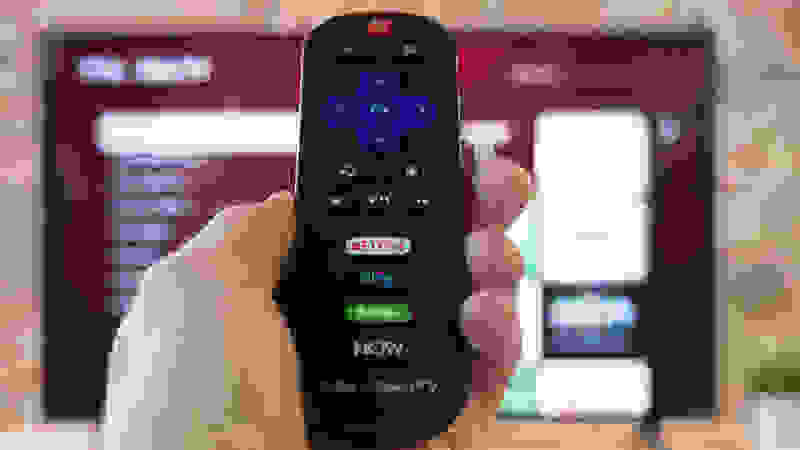 If you're planning on doing even the smallest amount of calibration with your next TV, you ought to know that the 4-Series doesn't really offer much control over the picture unless you download the Roku mobile app. 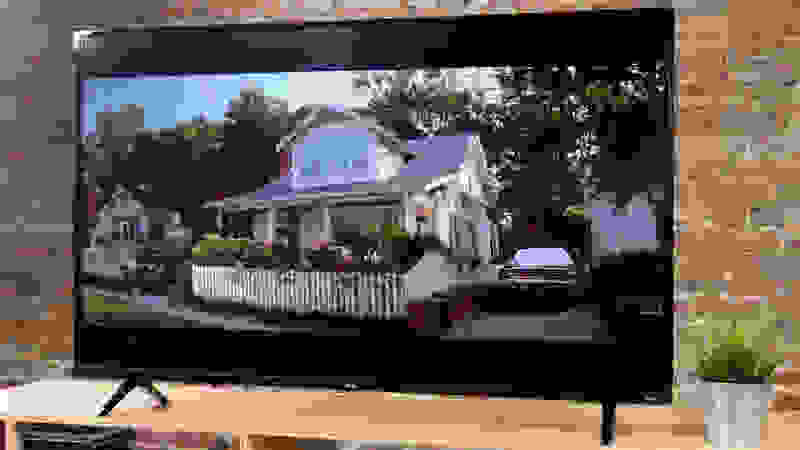 From the app, users can access various picture settings and make proper adjustments, but these features won't be found in any of the TV's various menus. Hulu is just one of many apps you'll find on the built-in Roku smart platform. Yes—if all you're looking for is value. With its nondescript design and middle-of-the-road performance TCL 4-Series is poised to win over bargain-hunters, but folks seeking the type of picture that punches above its weight class would be better off looking elsewhere. Such a shopper might set their sights on something like the 2018 Vizio E-Series—it'll cost more, but the return on that investment comes in the form of better performance. The TCL 4-Series is better than its price would suggest, but not by much. I love the clean-looking, easy-to-use software and everything that comes with Roku functionality, but given the TV's limitations, I would only recommend it to people who are dead set on saving the most amount of money they possibly can.